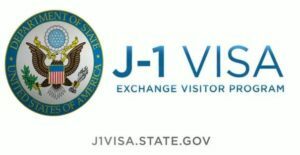 Jacksonville University is now among a handful of private colleges in Florida to receive official U.S. State Department designation as an Exchange Visitor sponsor. Jacksonville University is home to the newly established Keigwin School of Nursing, thanks to gifts including $3 million from Beverly and Jack Keigwin, the University announced Wednesday. The Keigwins’ donation is the largest in the Nursing school’s 36-year history. There’s been a lot of excitement recently around the marine science program at Jacksonville University. On Feb. 9, we announced a cooperative partnership with OCEARCH, which is by far the most widely recognized shark tracking organization in the world. Kinesiology graduate and undergraduate students and their professors recently had the honor of presenting at the Southeast American College of Sports Medicine conference. Division of Visual Arts Chair Dana C. Tupa wanted to jolt her non-art students into getting past their fears and tapping into their creativity in her Underglaze Carving Ceramics class. You can’t change the future of the ocean on a fisherman’s story.